Dogs bark. It’s just what they do. They bark when they’re playing. They bark when they’re excited. Sometimes it seems that all they do is bark. It’s one of the ways that they communicate with us, with other dogs and with the world around them. Play barking and excitement barking are two common types of barking in dogs. But sometimes they bark way too much, and we, their humans, would like to try and curb the barking, at least somewhat. Our household, even with its many dogs, tends to be a quiet place. Until playtime that is. Especially when it’s the Terrible Trio’s playtime. And Monkey’s bark is sharp enough to pierce ear drums. The first thing you want to remember when trying to stop your dog’s barking is to stay calm and not start yelling yourself. 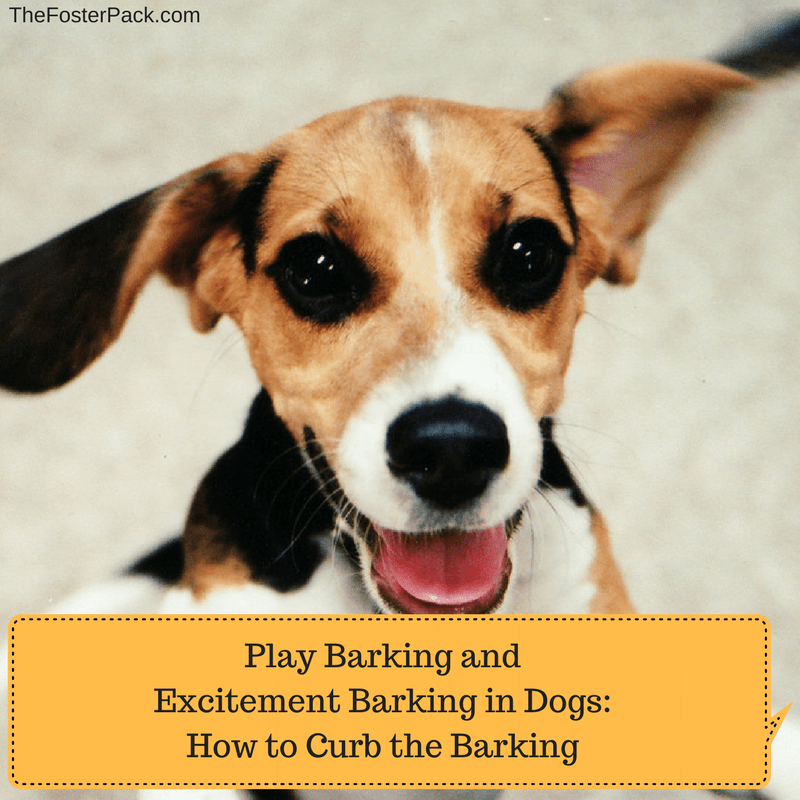 It just adds to the noise and encourages them to keep barking – since you’re doing it too. Ignoring the barking works for play barking, to some extent. Unless the dog is barking at another dog, which is often the case during our play sessions. To help curb Monkey’s play barking, we add toys into playtime in the house. If her mouth is full, she can’t bark. And have taught her and the rest of the dogs in the house, a “Quiet” command. Ours happens to be the word “Enough”. Outside it’s a little harder to curb her play barking. She loves to chase her brothers around, barking the whole time. If she’s within close earshot, she’ll respond to “Enough”, if she’s too far away, she doesn’t. Her brothers often help in this situation, apparently, they find her constant play barking as annoying as we humans do. They give her a warning growl, or quit playing with her and start ignoring her when she gets too noisy. Feeding time can also be a bit noisy in our household. Most of the dogs get excited when they see the food bowls coming out. Our “Wait” command works well in this situation. They know it’s coming, but they have to be told to be patient and wait for it. “Sit” and “Stay” would also work in this situation. Ignoring the behavior. Maddie, one of our current foster dogs, is an excitable barker. One who hasn’t master many commands yet. So giving her commands when she’s all hyped up doesn’t really work. Ignoring her excitement barking is the best. And rewarding her when she quiets down. But for Maddie, it’s got to be an extremely high-value treat. She’s kind of picky. But she’s making slow progress with all of her basic dog training commands.